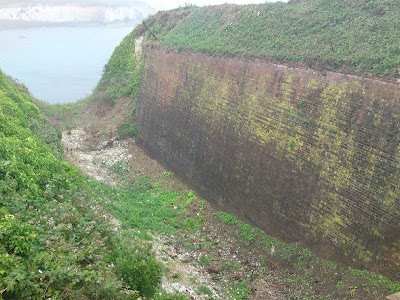 This fort was constructed between 1855 and 1856 and is located on the cliffs overlooking Freshwater Bay. 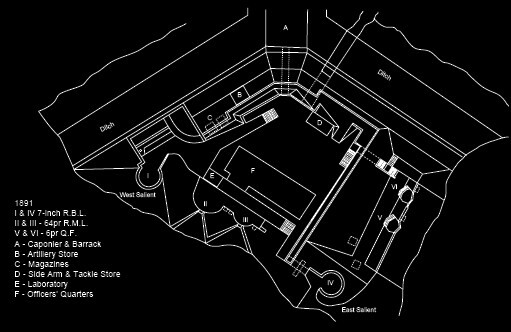 It is protected by a dry ditch to the North and West, with sheer cliffs to the South and East of the Fort. 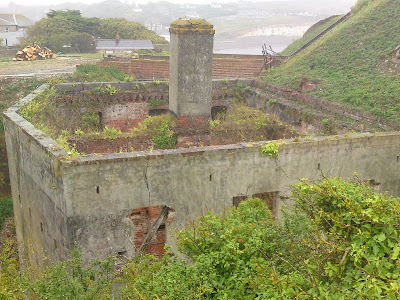 Concrete gun emplacements are still extant and cover the bay and the South-West of the fort. 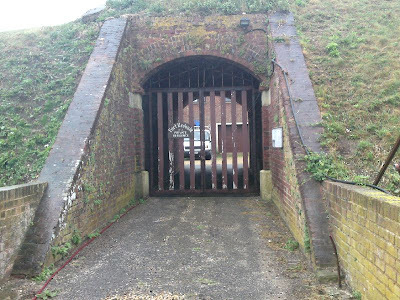 Entrance to the fort is via a bridge, which crosses the ditch next to the caponnier. 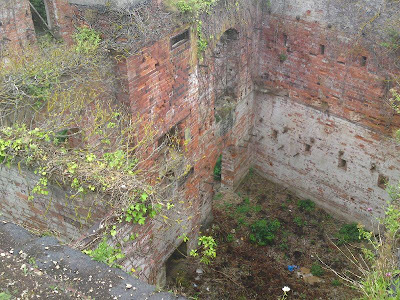 The caponnier, which is now derelict, provided barrack accommodation as well as flanking fire across the ditch and was accessed by a staircase from within the fort. 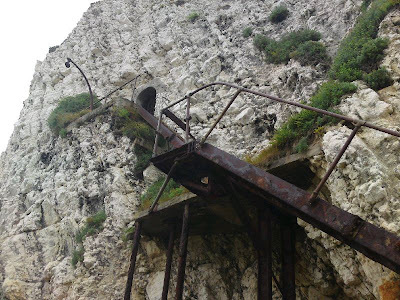 Interestingly, there is also a tunnel which opens out onto the cliff face with a stairway down to the beach, however, the stairs are very rusty and appear extremely dangerous. 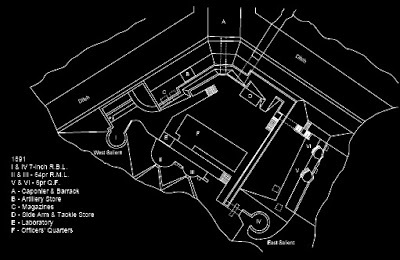 The fort is now a private residence and a modern building occupies the interior. 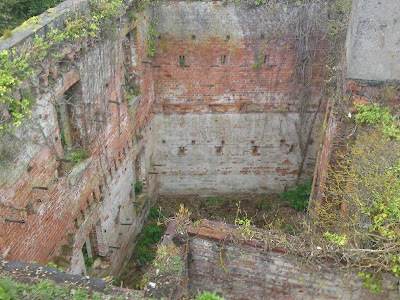 This fort is privately owned, but can be viewed from the outside. 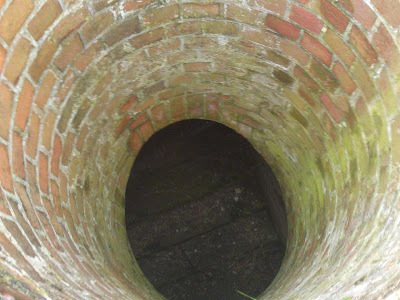 There's also a 'secret' tunnel, which I'd assumed was a smugglers tunnel (though it may have had a military purpose) from Watcombe Bay, which is remarkably similar to the photos of Pegwell Bay tunnel on this Blog. 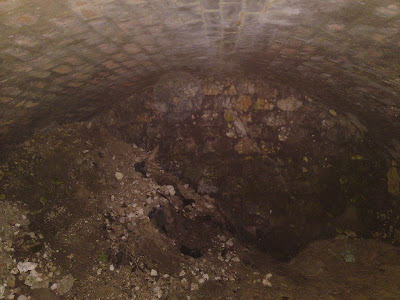 Sadly the tunnel to Watcombe Bay was filled in by the council some years ago due to 'Health & Safety' fears! I believe there was a cave in. 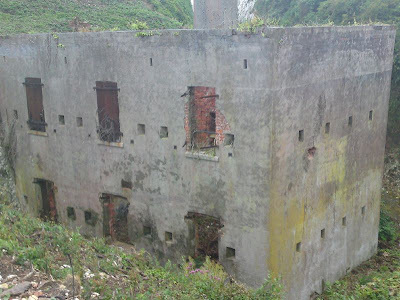 The Coastguard used to use the tunnel to return to the cliff top after repelling down for training.